Why mess with handling your device when you can experience the freedom of hands-free video calling? 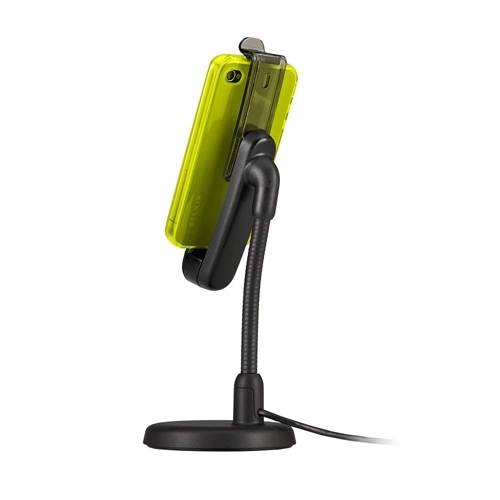 Keep your iPhone or iPod touch securely positioned with a small and lightweight calling and charge dock. The flexible neck lets you change camera angles easily. And the rotating cradle allows for landscape or portrait viewing. It’s case-compatible too, which means you never have to fuss with taking your iPhone or iPod touch in and out of its protective covering. It even charges and syncs when connected to your computer so you never have worry about losing power during your call.